might try that are easy to grow that would take weaving through the Hellebores? Oh, clematis would look great peaking through hellebores during the summer. You could use a Clematis integrifolia — these clematis do not climb (though they weave well) and grow anywhere between two and six feet long. They are also easy to prune because they can be wacked back hard in early winter; in fact, they often die back on their own. 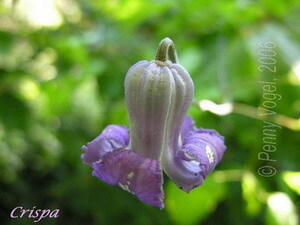 Examples include Clematis Sizaia Ptitsa, Clematis Saphyra Indigo, and Clematis Petit Faucon — all three of these are dark blue. You can also find integrifolias in light blues, whites, and pinks. 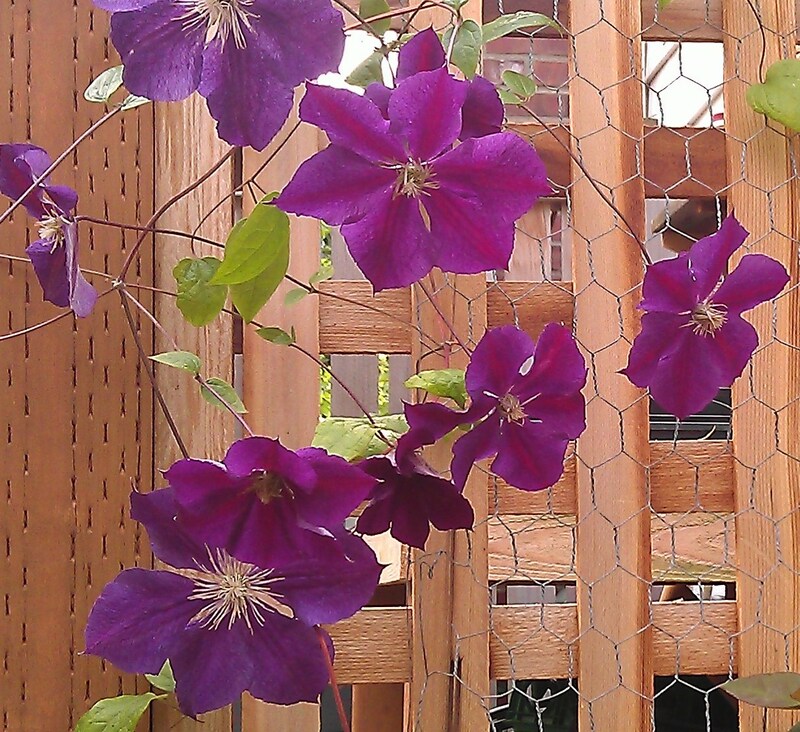 Another possibility is one of two clematis hybridized specifically as ground covers, Clematis Bijou, with light purple blooms through the summer, and Clematis Filigree with pink blooms. If your hellebores are in shade, with no summer sun, you should lean more toward clematis with pastel-colored flowers like light blue, mauve, and pink as they take shade better than others (all clematis prefer at least some sun). 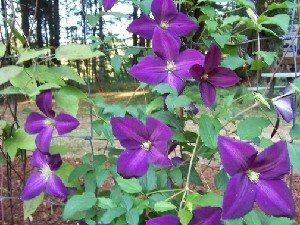 You can find descriptions and photos of these clematis in the A-Z section of Clematis on the Web. 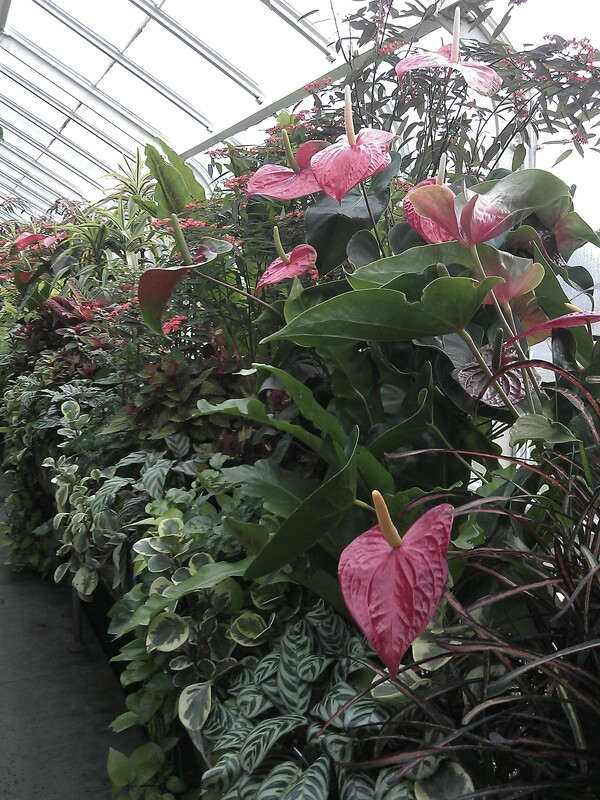 Look for the ones I mention here by name, plus there is a list of several possibilities if you look under integrifolias.